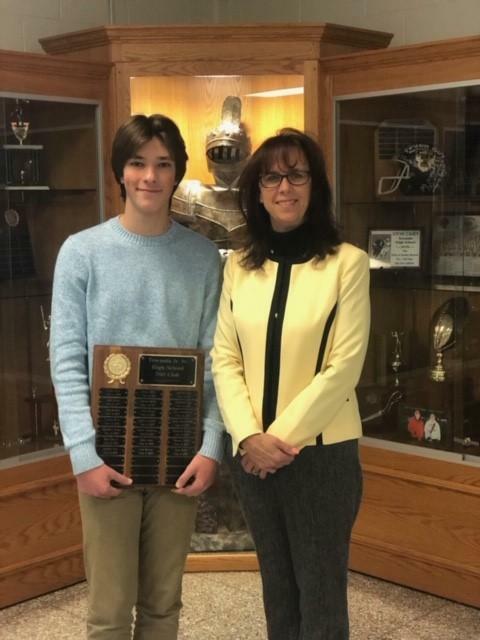 Ryan Risch Inducted into "700 Club"
Mrs. Rebecca Stanfield, principal of Towanda Junior/Senior High School, announced today that Ryan Risch has been named to the district’s “700 Club”. This club is designed to recognize students who score a 700 or more (out of 800) on at least one section of a College Board SAT test. This is a feat that only about five percent of the nation’s students attain. The average score on the SAT is about 500 per section. A Letter of Commendation from the school will be presented by the principal to this scholastically talented senior. Ryan is the son of Melissa Risch of Towanda and Kurt Risch of Wyalusing. The students, staff, and faculty of Towanda High School are proud of Ryan and his accomplishments.